Intellectual Property Partner, Todd Tucker, has served as lead trial counsel in patent litigation actions before district courts, the Federal Circuit, and the International Trade Commission. Todd counsels companies on the procurement of IP assets and management of worldwide IP portfolios with a particular focus on protecting IP assets in China. He provides Chinese companies general counseling on doing business in the U.S.
Todd focuses his practice on intellectual property litigation and intellectual property counseling. Todd’s first-chair patent trial experience includes securing a jury verdict of non-infringement for a snow plow manufacturer, obtaining a non-infringement judgment for a maker of house arrest bracelets and obtaining a series of preliminary injunctions for a manufacturer of construction products. He was also part of a trial team that won more than $39 million for infringement of his client’s semiconductor testing equipment patent – the largest verdict in 2011 for the State of Arizona. Todd also has experience with reexamination proceedings, inter partes reviews and derivation actions in the U.S. Patent Office. Todd has developed and managed global patent enforcement programs for a variety of clients. These programs include obtaining preliminary injunctions in the United States while managing worldwide counsel seeking to enforce related patent rights throughout Europe and Asia. As part of his global IP experience, he assists clients with protecting business interests and inventions in China. He has formed and managed several Chinese R&D centers and is well-versed in many aspects of Chinese IP Law, including procurement and enforcement of Chinese patents, utility models and trademarks. Todd also has managed Chinese invalidation proceedings and is experienced with the nuances of IP licensing in China. Finally, Todd has been tasked by several clients with the strategic management of patent portfolios, including coordinating a network of international patent counsel for worldwide patent procurement and protection of medical devices, consumer products, food packaging and construction material inventions. He provides clients with right-to-market, patentability and non-infringement/invalidity opinions. Todd is licensed to practice before the U.S. Patent and Trademark Office and is a member of the Cleveland Intellectual Property Law Association, AIPPI, AIPLA and INTA. Todd started at Calfee as an Associate in 1995 and returned to Calfee as a Partner in 2013. 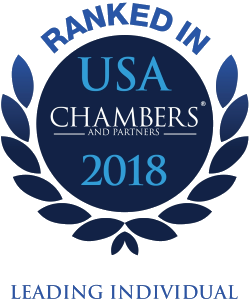 He is recognized as one of "America's Leading Lawyers" by Chambers USA 2018 for Intellectual Property. Chambers USA researchers reported that Todd "offers solid strengths in IP litigation matters, with experience representing clients before state and federal courts and before the ITC. He offers niche expertise advising companies on managing IP assets in China as well as acting for Chinese companies with IP assets in the USA." Chambers USA researchers reported that Todd "offers solid strengths in IP litigation matters, with experience representing clients before state and federal courts and before the ITC. He offers niche expertise advising companies on managing IP assets in China as well as acting for Chinese companies with IP assets in the USA."